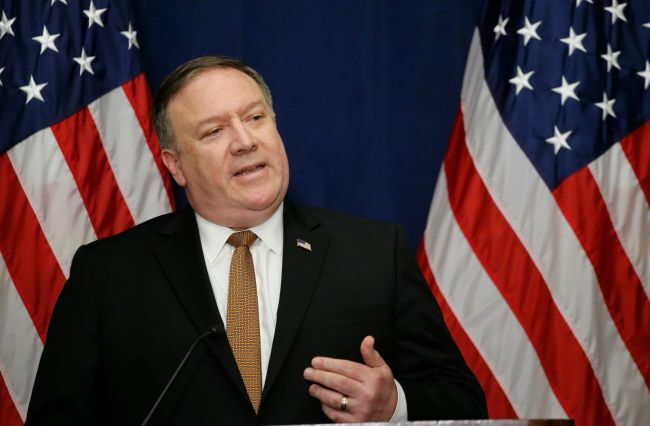 US Secretary of State Mike Pompeo said Sunday he will meet with his North Korean counterpart in New York at the end of this week. Pompeo said in two separate interviews that his counterpart will be Kim Yong-chol, a top aide to North Korean leader Kim Jong-un, but stopped short of revealing the exact date of their meeting. A second summit between US President Donald Trump and Kim Jong-un is expected to take place early next year. At the first summit in Singapore in June, Kim committed to work toward “complete” denuclearization of the Korean Peninsula in exchange for security guarantees from the US Multiple diplomatic sources told Yonhap earlier the Pompeo-Kim meeting is scheduled for Thursday and Friday, while other reports have suggested Wednesday and Thursday. He specifically cited the absence of North Korean nuclear and missile tests this year, as well as the regime’s return of the remains of some American soldiers killed in the 1950-53 Korean War. “We’re continuing to negotiate with the North Koreans to achieve what President Trump set out: the full denuclearization verified by the United States of the Korean Peninsula, and then a brighter future for the North Korean people,” Pompeo said on Fox News. But he emphasized that verification will be key. North Korea has increasingly protested the US-led sanctions on the regime. On Friday, the North’s foreign ministry threatened to return to the regime’s former policy of byeongjin, which calls for simultaneously developing its nuclear program and economy, if the US did not start lifting sanctions.